Video games immerse us in worlds beyond our own, letting us encounter sights and sounds beyond our imaginations. But no matter the scenery, what would these worlds be without the characters we have fought alongside and grown emotionally attached to over the past eight years? With the impending release of the PlayStation 4, today is the last day in which we here at Kotaku will look back and explore the heroes (and zeroes) of gaming’s seventh console generation. But instead of me telling you who the greatest characters of the generation are, let’s all contribute and make a master list together. After all, there are many great characters out there and no doubt they have touched us all in different ways. To keep this list easy to read and enjoy, let’s all follow these rules. 1) Home console game characters only: Yes, I know. 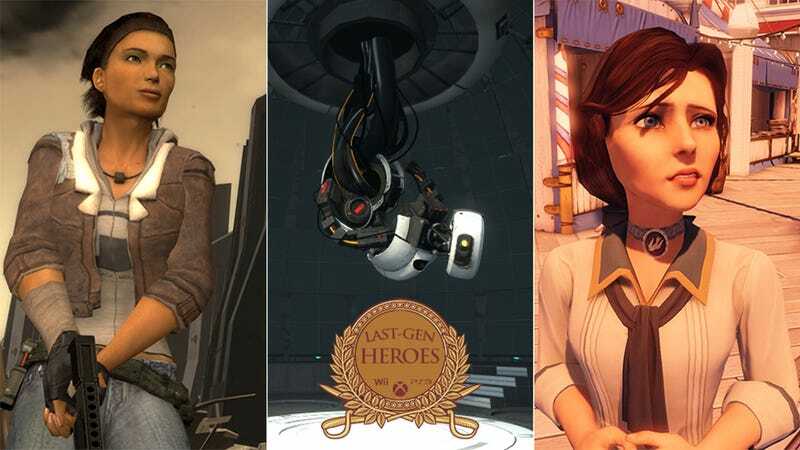 Portable gaming and PC gaming have had a lot of memorable characters in their own right, but this is a list celebrating the seventh home console generation, so let’s keep it to those. Of course, if a portable or PC game has been ported to the Wii, PS3, or 360, it’s totally fair game. Why this is a great character: Why is this character so great? If you need an example to work from, check out the posts in the comments done by me or other Kotaku authors. Oh, and if you copy/paste the above outline, be sure to select it all in your comment and hit the "pullquote" button (that looks like " quotation marks) so that you remove pullquote formatting. 3) Only post each character once: Be sure to see if your favorite character already has a post in the comments. If he or she already has one, feel free to reply and add your own “why this is a great character” and “favorite memory,” but don’t make a new, independent post. 4) Spoiler tags are your friend: As we are talking about characters and why we like them, we’ll no doubt be talking about more than a few spoilerific things. So please put in a bold **Spoilers** tag or the like before your comment as a warning to the uninitiated. 5) Don't write non-entry comments on this post: Instead, comment on others' entries, if you've got something to say about them. 6) Feel free to enter more than one character! There are tons of great characters out there; give them all a little love. All right, now that the ground rules are out of the way, let’s get to it! Let’s celebrate the greatest characters of the last generation!